It’s amazing what healthy living will do to you. Since the beginning of the year, I’ve been more active and eating better, and the results have blown me away. I feel better, look better, sleep better, and — while I don’t know how my insides are doing — I’d venture to say they are doing better, as well. That news came as no surprise to Mikki Reilly, who runs the Fitness Transform studio at 1213 State Street, and if you want to go paleo, she’s the one to go to. Reilly is the author of a new book, Your Primal Body. In it, she puts together a perfect outline to changing your life, offering simple, small steps that are easy to understand. And the why is also easy to follow — Reilly takes the time to explain the science and reasoning behind her methods in a way that’s easy for lay people to understand. 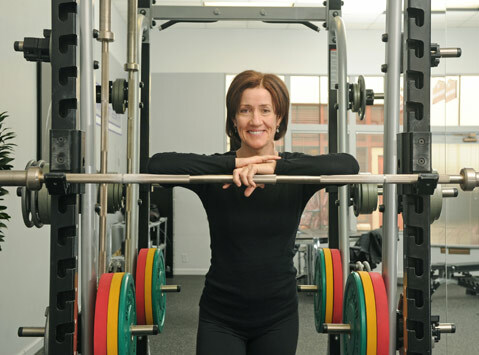 A former bodybuilder, Reilly has her exercise and health science degree from UCSB and has been training people for 20 years. She opened her own studio at the end of 2011. In her book, Reilly introduces a five-step primal plan, with each step building on the one before it. The first step is an anti-inflammation, low-carb, high-protein primal diet. That means wild, grass-fed meats, non-starchy vegetables, and the right types of fats, as well as the right type of omega-6 to omega-3 ratio. These types of food keep inflammation levels down. Inflammation is what causes disease. It’s what causes discomfort in joints and obesity that can evolve into diabetes. Avoiding grains, processed sugar, and vegetable oils are key to keeping inflammation down, she said. The second step is supplements — a complement, not a replacement — to the diet. We can’t get all the nutrients we need, because of the way we farm, so supplements are a needed addition. As our world has sped up, Reilly said she has seen a change in her average client. They are more beat up, more out of shape. She now has to spend more time rehabbing a person before they are ready for her workouts. “Our world has changed,” she said. Just as important to eating, however, is fitness. After food and supplements come the next three steps — all having to do with movements. Reilly is high on kettlebell techniques. As a longtime fitness buff, she’s tried most anything out there, and kettlebells “by far are the best training tool,” she said, for building strength, cardiovascular endurance, and mobility and flexibility. They provide a good mimic in a training environment to how our ancestors moved and worked. The book isn’t written for super-fit athletes, but regular people looking to change habits. Her plan, she said, helps people lose weight, feel less hungry, and have fewer cravings for sugar and more energy. Muscles start to appear, and skin clears up. But more importantly, joint inflammation can be reduced, as can the possibility of heart disease and cancer. Find Reilly’s book in any bookstore, or visit her website, fitnesstransform.com.